KEN YUSZKUS/Staff photo. 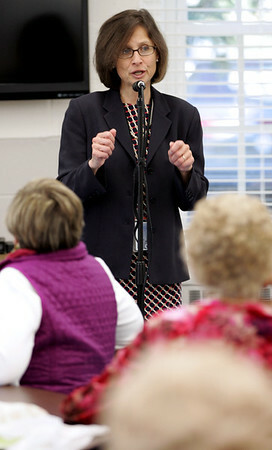 State Secretary of Elder Affairs Alice Bonner speaks at the senior wellness day held at the Hamilton Council on Aging. 10/16/15.